NOT EVERYONE WHO STAYS AT A HOTEL IS ON VACATION. Why would you want to grocery shop when you stay in a hotel? 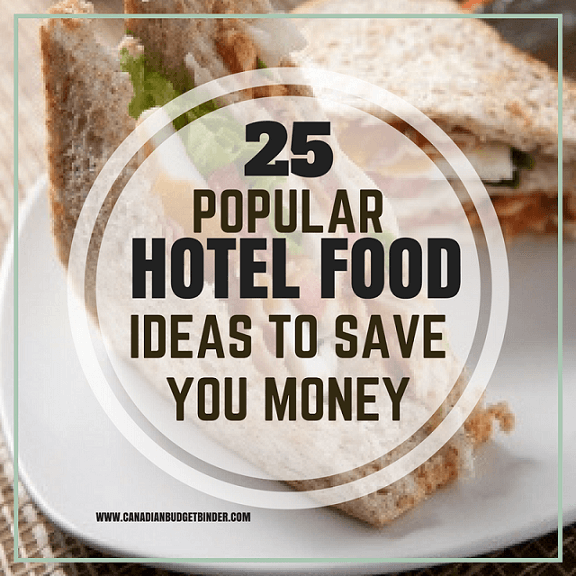 Many reasons actually so I thought it would be a great idea to come up with a list of foods you could bring to a hotel to help cut costs. One thing you will learn quickly is that food and drink cost mega bucks when staying at a hotel. On the other hand the hotel you stay at might have no amenities to offer you apart from a complimentary cup of coffee. Whether you stay in a 5-Star hotel or a budget hotel they both come with pros and cons one being the quality and price. You might think that making meals in your hotel room is a waste of time especially if you are on holidays but what if you’re not? Some people have temporary stays for weeks and months at a time in a hotel for various reasons. Maybe you have one week left of University and your room rental expired. Instead of driving back and forth every day as it would take hours you decide to rent a hotel room for the week. It’s not always about fun when staying in a hotel but either way you have to eat or at least should eat. Coming up with food ideas that you can make in the hotel room rather than ordering room service or visiting the hotel restaurant takes some smart planning. If you have kids in tow finding foods you can prepare and eat for cheap in your hotel room might be easier than slipping out to eat especially if you have no vehicle. Just because I said cheap doesn’t mean you have to skimp on the healthy foods. I’m comparing grocery food vs. hotel food so anything is cheaper. 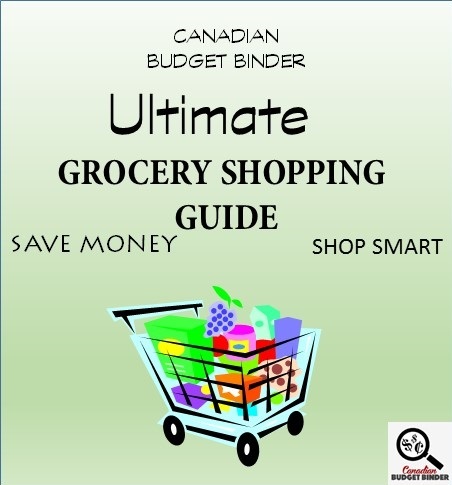 Even if you go to the local grocery store wherever you are staying and load up on fresh gourmet meals you will still save more money than had you eaten out. Plus… no tip. Depending on the hotel you stay at you may be offered breakfast, lunch or dinner as a courtesy. You may even get your paid hotel food at a discounted rate if you stay with the hotel. Other hotels have nothing but a small kitchenette possibly with a toaster, kettle and mini-fridge. Others have nothing at all but a coffee pot on a table with instant coffee and tea bags. It’s the worst coffee and tea in the world but when you’re desperate it tastes like the best you’ve ever had. Ha! If the room doesn’t offer a glistening toaster ask if there is one available for use in the hotel food area for guests. You do get what you pay for when you stay at a hotel so don’t rent a room with high expectations especially if it’s called Dodgy Hotel. In a ritzy hotel you may plan to dine on the club floor included with your gold package stay or use your credit card rewards points. Every hotel is different. Even in a cheap hotel you might have to pay to have room service if it is available at all. A cheap hotel is anything under $100 a night without last-minute deals, discounts etc. Their continental breakfast might consist of horrible black coffee and packaged muffins to go. If you’re a frugal hotel shopper and get find a last-minute hotel deal you may get lucky and score the 5-Star perks with 2-Star pricing. That’s my kind of deal but you have to be ready for them as they go fast from sites such as Travelocity.ca (not affiliate). Any time you are searching for a hotel to stay in always read the reviews. You’ll get a better sense of how you will be treated as a customer and what their stay was like. If you have any hotels nearby where you live don’t be shy to pop in and ask the hotel manager if you could have a small tour around. This is a great time to ask questions and for tips on renting a hotel room and food ideas. Every hotel is different so the answers aren’t going to be standard across the board but you’ll get a sense of how a hotel works just by visiting and doing your research. Each one of these types of accommodations come with different price tags, hotel design and layout and options. Don’t forget to ask about high season and the best rooms in-house along with what’s all included. Don’t be shy to ask if the room has a refrigerator and freezer along with the size. This will help you determine how much food you can bring from home. Find out what will cost you extra, mainly food and drink is what I’d be worried about. Whatever you do don’t bring your own kitchen appliances unless you are permitted to. That means no rice-cooker, crock-pot or other appliances that weren’t furnished by the hotel. There will be a fire code in place and you don’t want to find out the hard way that you shouldn’t have done that. If you get the appliance thumbs up by the hotel manager pack up your slow-cooker, rice cooker and toaster all of which would bring you huge savings for your hotel food budget. Food News: If you can bake a cake with a light-bulb you can cook a meal in a rice cooker. You can prepare lots of food cooking in a rice-cooker from boiling, to heating up food. The rice cooker is comparable to a small pot with an element that you can steam, boil or even fry food in. Ah ha, smart thinking. Generally when we use our slow cooker we make rice and toss in other bits on top and it all cooks together. I remember our trip to Tobermory and we stayed in a budget motel with an empty mini fridge, 2-cup coffee pot and access to a rusty barbeque if needed. Oh, if we needed a microwave that was outside on a table by the front office. Ya it was a cheap motel but the room was clean and there was no food included, not even breakfast. Again, you get what you pay for. We didn’t plan the motel stay so that was our first mistake. Second we should have paid the extra money to stay in a hotel up the road if we wanted at least a 3 or 4-Star stay with hotel breakfast. When Mrs. CBB and I made a trip to Niagara Falls we enjoyed our upgraded suit for free with a Jacuzzi and kitchenette that we didn’t use as I was ill. While I was in bed Mrs. CBB went ahead and had a look around the hotel restaurants and decided to have a drink at the bar. Not only did her drink cost her well over $10 but she left a tip because the place was pretty dead and the bartender was super friendly. She decided to order food from the restaurant since I was sick and she told me that I didn’t want to see the bill. That only means that we could have purchased a weeks worth of groceries but we were enjoying our one day stay. Could we have avoided going to Subway for lunch $25 or buying snacks and appetizers at Casino Niagara? 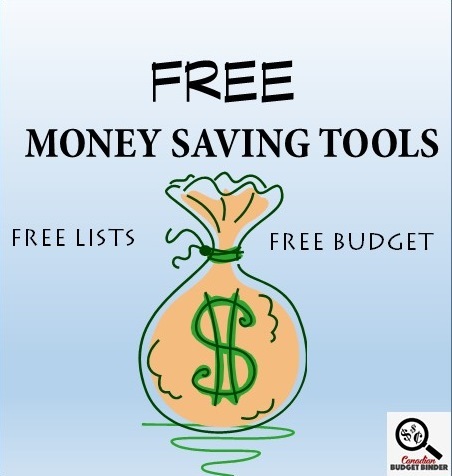 Sure if you want to cut costs and stick to a travel budget. When you’re out opt for the cheaper menu items if you know you will go back to your hotel to eat. Two words, Stay Away. If you want to pay premium prices for the mini bar then be my guest but you’re better off going to the liquor store and stocking up to bring to your hotel room. While you’re out buying booze don’t forget to buy your pop, juice and any other necessities such as cups. Every time you go to the front desk or even down the hallway on your hotel floor there probably is an ice-machine and a snack vending machine. This machine is a gold mine to the hotel because for many customers who don’t plan and bring snacks the snack machine gets attacked. You will pay a higher price for your snacks from the machine likely 2 to 3 times higher than what you’d pay at the grocery store or convenience store. Bring along chips, crackers and cheese, peanut butter, jelly, fruits, nuts and dried fruit, popcorn etc. A huge savings on snacks will go along way for your hotel food budget. Even if you splurge on a lovely bed and breakfast stay you only get the bed and a homemade breakfast in the morning. If you get lucky you’ll find a bed, breakfast, lunch and dinner which will cover all of your bases however if you are travelling the last thing you will want to do is keep trekking back to your hotel or bed and breakfast for meal time. It’s different if you are on a resort but not when you are planning a holiday with accommodations. Airbnb accommodations are also a great alternative where you have to purchase groceries to cook saving you money. Typically your Airbnb will come fully stocked with a kitchen and all appliances. If the hotel you choose to stay at doesn’t offer you any food past breakfast but you don’t want to spend money eating out every night for dinner there are foods you can bring and eat in your room. Everyone likes different foods but for the person who loves to eat everything this list of 10 hotel foods you can fix in your room are worth noting. Fill a cooler with ice and stock up on beverages and any other foods you want to keep on ice if there is no freezer or refrigerator in your hotel room. Even if you plan to eat out one meal every day of your stay see if you can find local restaurants offering deals or those that have coupons you can use. Personally I would plan to eat out and a bigger meal at lunch as it’s cheaper than dinner. Beverage Ideas- Protein Powder, Milk, Cream, Coffee, Tea, Juice, Pop, Water, Tomato Juice etc. Condiments- Whatever you can’t get from the front desk or kitchen. (Ask ahead of time if they have condiments such as jam, creamers, sweetener, ketchup, mustard etc. Snacks- Chips, Chocolate, Chips, Chocolate, Chips, Chocolate, Fruit etc. Hotdogs or pre-cooked sausages (you could probably sling a few in the coffee pot add water and let them heat in the pot or microwave if available. Use your slow cooker or rice cooker if allowed and you bring them. If there is a BBQ you can bring corn to roast and any other vegetables that you can wash and peel in the room. Angel Hair or Spagettini pasta to cook in microwave (if you plan to use a microwave to cook or a BBQ pack your own bowls and utensils to use as well). Make Ahead meals at home that were frozen and need to be microwaved- Meatballs, casseroles, lasagna, pizza having a hotel fridge is ideal with these foods. One of my favourites is my pasta fritata with sausage which is an all-in-one meal that you can eat hot or cold. You get your pasta, eggs, sausage and cheese. Fried chicken or other foods that you can eat cold or at room temperature. Pre-made Hard-boiled eggs or eggs you can microwave if available. If you are on vacation consider how much food you are bringing as it will take up space in your vehicle as well the time and agenda you are working with. There’s no point packing lots of food if you don’t plan to be in your hotel room until the end of the night or into the wee hours of the morning. Not everyone has a big budget for travel or hotel stays but when you can save in one area you can splurge in others. Alternatively you can forget everything I’ve said above and just order in, eat out and relax. I’d love to hear what foods you’ve made in a hotel room to save money on lunches and dinners while you were on holiday. Please share your comments below. Was it worth it being frugal or should you have went all the way and just eaten out? As you may have read I’ve been very ill the past few days so this week grocery shopping was a quick in and out at Shoppers Drug Mart. Coincidentally I was there picking up prescriptions, cough drops and cough syrup. The one stop shop is worth it during these moments of sickness. If we pick anything else up I’ll post it next week but we should be fine. Not a bad start to January I suppose minus the illness. How was your shopping month? No I dont spoon dive the nutella. I like it on my toast though. Everyone liked the brownies I made with it so I will probably use it all for baking and not so much eating. No sorry I should have said I was buying for a friend of mine that is expecting her second kid next month and I have been trying to buy things I can get for cheap or free for her. So the formula is for her. The motrimax coupons are from the sample source box and tear pads and last year there was one in an insert that I used as well. I think lots of people still stack or at least thats what the cashiers at london drugs tell me. Haha I had to ask because it seems to be the norm. Even when we had kids from Spain here they were spoon diving in the stuff. You’re going back to the corner? Or you want out of the corner haha!! $6.99 pm to London Drugs 1kg nutella – total splurge but a great deal!! Another week of great sales! Came in well under for the month so this will help later in the year when I pick my strawberries and such for jam as well as other times I go over. We really didn’t need the cat litter but it was on sale so we got a box. It will get used eventually. As will the foil, hubby got me two packs to have in the drawer. The pop was a good price and having the coupons from earlier cases was nice to take the price even lower! Still doing a lot of running around for my Dad and Uncle. Hopefully that settles down soon. The older boy has a birthday Feb 8 but I have what I need for his cake and ice cream here now. Just a heads up for tomorrow that our son has a virus and was throwing up so much tonight. He’s been in and out of the shower about 4 times in the last 2 hours. I don’t think I’ll be getting the GGC finished in time for Tues morning now. I may have to push it to Wednesday. Mrs. CBB and I had the same thing the last 2 days and thought he got lucky and missed it.. nope. Any ways… that’s what’s going on. Oh.. does everyone have a 4 or 5 week for January? I wasn’t sure if I did the calendar wrong to start the year or not. I left a note for Mary since she is the pro scheduler to have a look at it for me. Thanks all and keep us in your thoughts please. It’s never easy seeing your child in pain like this. Poor little guy. I am happy with my shopping this month, I am way under but like I said before I started the month with a very well stocked pantry, fridge and freezer, and we did not entertain much this month. I think I will be a bit higher and more realistic to my budget next month. I did go over on my stockpile budget but I am not concerned, will do some tweaking as this progresses. I had to go to Costco to pick up some specific things for my husband so picked up a few things there, I am not a fan of Costco but do go once in a while, I find there are a few things that are an exceptional buy but the rest in just average pricing, I hate the crowds, I hate all my things tossed in a box with no rhyme or reason and honestly I resent paying for membership. We do have ours through our company and I take as many people shopping with me that want to go that don’t have a membership and shop for my older daughter’s when they need things to try and make it worthwhile. I was very happy with my dishwasher tabs, after sale, coupons, mail in rebate and air miles I ended up paying $4.98 for 110 dishwashing tabs. I am trying to post on the What’s for Dinner chat on Facebook but I am finding it isn’t working with my evening commitments and I do not use my phone for social media often, I don’t allow my kids to be on their phones when we are eating at supper and when we are together as a family, I just find kids are not present at all if they are constantly on the phone so it is hard for me to be!! I also do office work from home in the evenings for our business and it is time to connect with my husband. A quick walk and tidy and the evening is gone!! Will try to sneak in once in a while! Good luck next month everyone!! I agree with you as it’s hard to judge from the first month or possibly the second if you started the year off with a well-stocked pantry. Technically the best would be to start off with nothing and to see what it would cost for an entire year of eating. Great score on the Finish tabs! I remember getting them for $0.35 a box back in 2011-12 when the coupons were Save $3.50. We’ve got boatloads of them here BUT no dishwasher lol. We plan to get a dishwasher when we renovate our kitchen. Hopefully by then the dishwashers still take the tabs otherwise I will donate them to the in-laws. Being on What’s For Dinner is not part of the Grocery Game Challenge or a requirement so please pop around if you can, if not that’s fine too. 🙂 I would never expect you to be on your phone during your dinner time either. I agree dinner is time for the family. .
We recently picked up a Costco Membership. We love it for the gas savings…today for example everywhere was $1.12 and Costco $1.00. I fill up on my way to work or if we are there picking up baby wipes or other bits. I agree it’s hit or miss and consumers really need to know their prices when shopping there. Do you buy your gas at Costco too? Well done… You get Ballot #17. Again, welcome to the GGC Julie. I just ran out of my free or almost free finish dish Tabs from the good old days of couponing in 2012!! Our Costco is a bit out of our way but I do buy gas there often, as well as propane. I bought the Tabs on Friday morning and the electrical panel on our dishwasher went on Friday night!! After doing some fast reading on dishwashers we found a refurbished Bosch for 250.00 about the same as the repair for the old one so it was installed today. That’s great that you found such a great deal on a dishwasher. Oh, did you jump on the free dishwasher tabs back in 2012 too? There were so many opportunities to get them for free or paying hardly anything for them. I don’t often see such high value coupons any longer. How about you? Hey! I’m new here and interested in participating. We are a family of 4 and I plan for $700 per month (that seems really high in comparison to your budget). For over a year I tried to get our budget back to about $600 with no luck. I do recognize that I buy lots more than just groceries at the grocery stores, should I be moving that to a separate category for this purpose? That alone may instantly reduce our actual “grocery” budget. I think the tip about using a cooler and ice from the free ice machine is the best one suggested, especially if there is no in-room refrigerator. You can keep butter, cream for coffee, grocery store premade deli food or sandwich meats, anything, just like camping out. I once stayed in a nice place for several weeks on business, but had no in room fridge or microwave. I went to a local big box store and bought one of those cheap styrofoam coolers to keep drinks cold and all the other things I listed above. I also bought one metal fork, knife, and spoon and some disposable plates plus a real, but cheap, coffee mug and large plastic glass, and travel size dishwashing detergent. And a roll of paper towels. One end of the dresser became my crackers, snack and bread pantry, I kept mayo and other cold items in the cooler filled with ice, plus beverages. There are usually free cups and plastic glasses in the room, and the maids will give you a new batch each day if you ask. I just hate how flimsy they are, so bought “real” cheapo replacement items. I saved a ton of money making sandwiches for lunch, using real cream for coffee, eating chips out of one big bag instead of the higher cost individual bags, etc. plus I had my favorite things to snack on at night. More expensive than at home, but way less costly than eating out. Be creative! Overview: I’ve gone over budget by a whole $6.77 which won’t take much to make up. I can’t believe the score that I picked up at the Wholesale Club today. I couldn’t turn down these deals and even my daughter knows that I typically only pick up one frozen dairy item but for $0.99, I couldn’t resist picking up more. The apples that I picked up at the market will probably be used for apple sauce since my kid loves apple sauce as much as Christine’s husband does. I made the apples into apple sauce which are sitting in the freezer now. Plans for the ice cream is to eat them which we have eaten some of it already. It will take a little time to go thru all the tubs but not too long, unfortunately. I’ve sent the brag over to you. After working in the Hotel Industry for many years….there are a few things that most don’t know either….often check in time is 3 pm and although not common, early check ins or late check outs can be arranged….sometimes at a cost but often free if the hotel isn’t busy…smaller places also usually have an iron or ironing board available for guest use and no cost, be wary of renting movies from the establishment as they can be very pricey…..and even in this day and age….many older places will still charge for local calls made from the in room phone.. I will have to watch the funds available for the month very carefully and re-design our meal plan a little since I only had $35.02 when I started the week and I am down to $16.50 remaining for next week. It’s gonna be a squeaker! Week 5 will have to be as LOW a SHOP Week as I can possibly make it! (1)	Ham, Pepper Jack Cheese and Diced Red Onion Omelette with a side of Sauteed Mushrooms, Yellow Onion, Garlic & Spinach and a small green salad, (2) a pot of Creamy Spinach Soup with Cucumber Sandwiches, (3) Slow Cooker Potato-Dill Soup with Grilled Ham-Cheese-Onion Sandwiches, (4) Leftover Cheesy Italian Sausage Skillet with a cup of homemade Creamy Tomato Soup for our starter, (5) Tuna Shepherd’s Pie with Green Beans and Creamed Spinach, (6) Devilled Mushrooms on Toast with Leftover Potato-Dill Soup and a side of coleslaw (7) Homemade Cream of Celery Soup with Grilled Hawaiian Ham Salad Sandwiches (I throw in diced peppers, green chilies, pimento, diced red onion and pineapple chunks). (A) Leftover Amish Raisin cookies (great with a glass of skim milk), (B) Butterscotch Confetti Squares, (C) Lime Jello, (D) Fresh Fruit…Apples (Red Delicious, Granny Smith or Gala), Mandarin Oranges, Anjou Pears or Lemons. 6 Barilla GF Penne (3 for $5) = $10.00 < pasta sale I was waiting for! OUR NEXT USA SHOP WILL BE FEB 13th! OUR CURRENT TOTAL UNUSED RESERVES ARE $1,309.25. This means the $1,274.44 that we carried forward from 2016 PLUS AN ADDITIONAL $90.00 that we have added in 2017, LESS $55.19 that we have drawn out for use in 2017. Woops…make that pickled ginger! LOL 🙂 The pasta is very similar in taste to normal pasta but the texture is a little denser. Ah ok, that makes more sense to me now. 🙂 Does it sit heavy in the tummy? It depends on how much of it you eat…my serving size is 1 cup because of my diabetes. So no, it’s not heavy on the tummy when you only have a small amount. I could never be that portioned with pasta although I do try when I eat it. I don’t eat it much unless I bring it to work since the Mrs. doesn’t care for it and our son has no interest. Thanks for letting us know.